Here at the Local Lion we make all of our dough, jams, custards and glazes from scratch daily. We specialize in making Potato Doughnuts using a traditional 1930’s recipe. We also have a sour cream buttermilk cake doughnut. Throughout the summer we will use fresh fruits from the surrounding areas to make our jelly fillings and berry glazes. There is no worries of preservatives, high fructose corn syrup or hydrogenated oils. 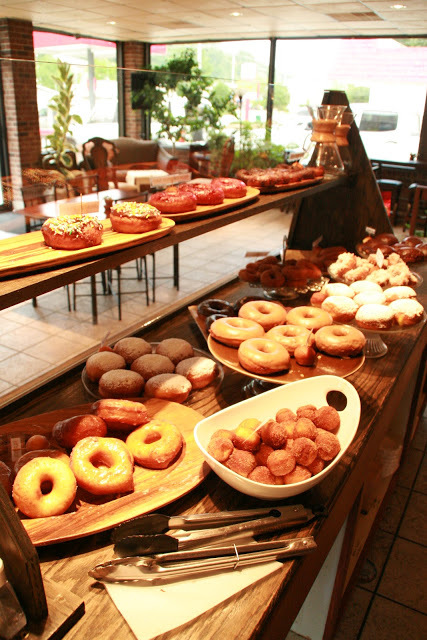 We cook our doughnuts fresh all day all long…so late comers can still get a fresh doughnut!